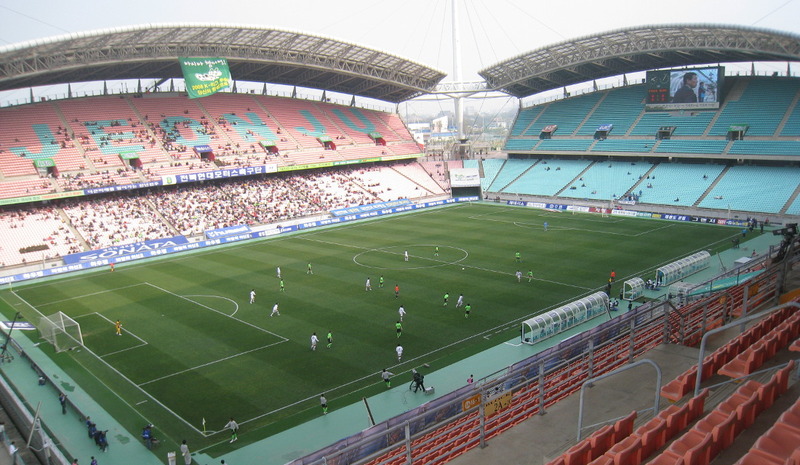 Jeonju World Cup Stadium was built to serve as a playing venue for the 2002 World Cup. It officially opened on 8 November 2001. 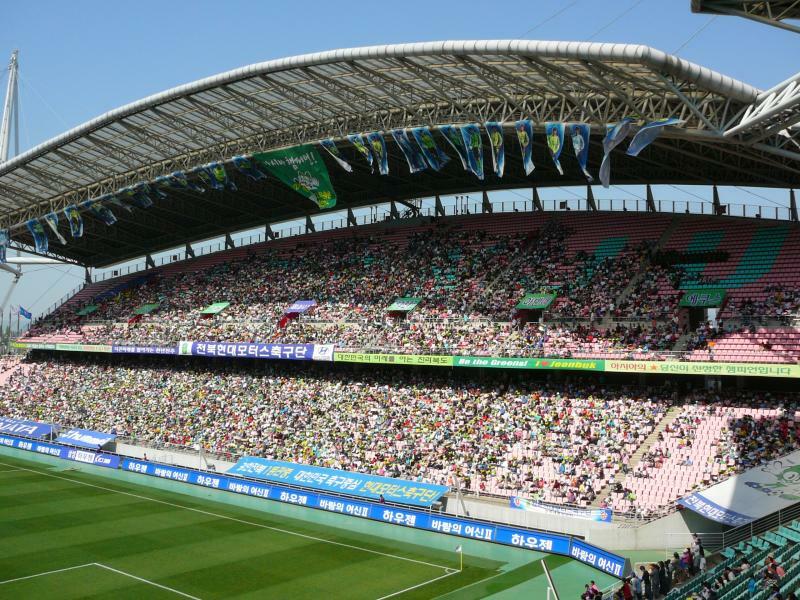 During the World Cup, Jeonju World Cup Stadium hosted two first round group matches and the round of 16 match between the United States and Mexico (2-0). The stadium’s most characteristic feature is its roof that is shaped in the form of a traditional Korean fan. 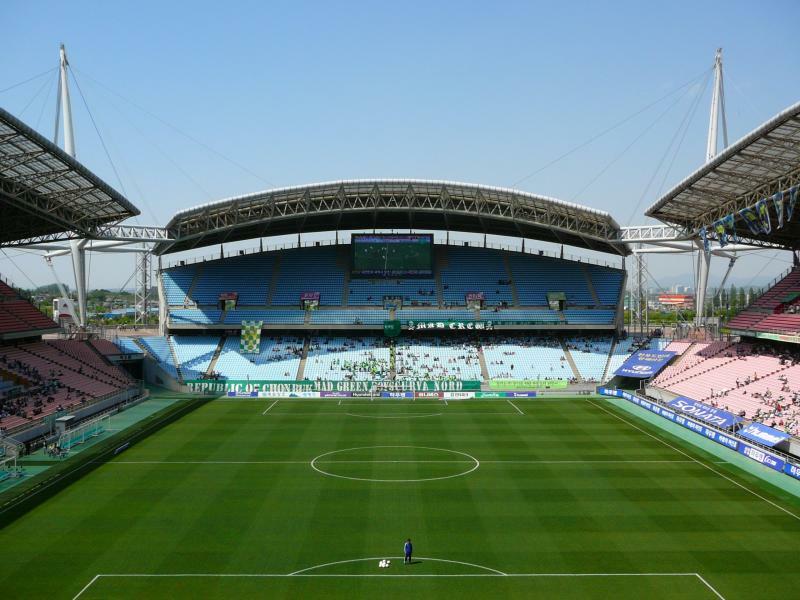 Jeonju World Cup Stadium is located north-west of the city of Jeonju, approximately 10 kilometres from central Jeonju. 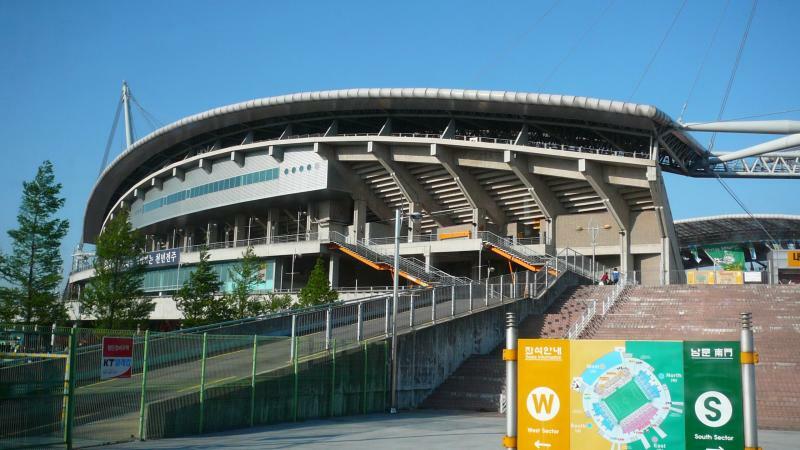 The stadium lies almost adjacent to the Honan Expressway, which run west of Jeonju. Buses run to the stadium from the Express and Intercity bus terminal in Geumam-Dong. Local buses 5-1, 46-1, 87-1 are some of the options. The journey takes 20 to 30 minutes. Tickets for Jeonbuk Hyundai Motors matches can be bought online via Interpark, or by phone +82 1544 1555. Tickets are generally also available at the stadium on the day of the match. Ticket prices range from KRW 12,000 for an unreserved seat at most stands to KRW 26,000 for a central reserved seat at the main stand. Tickets for some reserved seats are KRW 6,000 more expensive for a number of high-profile games. Hyundai-motorsfc.com – Official website of Jeonbuk Hyundai Motors FC. Jeonju.go.kr – Jeonju tourist information.